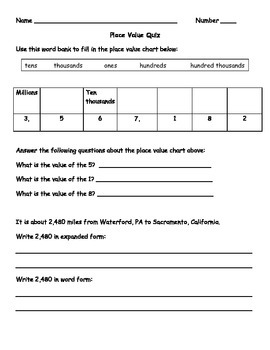 This Place Value Quiz has 2 pages of problems with identifying places and values, writing numbers in expanded, standard, and word form, and answering word problems focusing on these skills. An answer key is included. 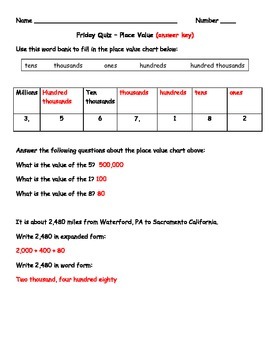 This quiz was made for 4th graders, but could be used as a review for 5th or 6th grade or enrichment for 3rd graders.